The Dainty Dream, by Mandy Fisher: Project Life Freebie: Time to go running! 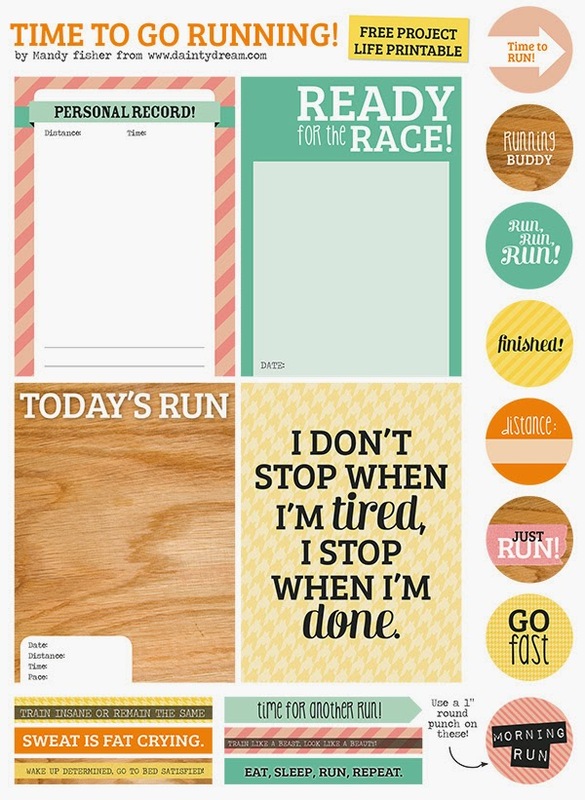 Project Life Freebie: Time to go running! Time for a new freebie! I use these in my own Project Life when I went for a run and shared a picture of it on Instagram. These are perfect for that! The size of the PDF file is not a regular paper size, because I decided to use a size which can be printed on A4 and Letter sized paper. Just make sure your printer settings are set on 100% and you'll be good to go! Download de hi-res PDF file here! I love these so much I scrapbook my runs all the time!